The petrophysical property of mudstone often transforms from ductile to brittle in the process of burial-uplift. The deformation mechanism of fault in brittle and ductile mudstone caprock is different, which leads to the formation of different types of fault zone structure. Different methods are required to evaluate the sealing mechanism of those fault zones. Based on the caprock deformation mechanism, fault sealing mechanism, quantitative evaluation method of vertical fault sealing capacity is put forward in this study. Clay smear is formed in the process of plastic deformation and its continuity controls the sealing capacity of fault. The outcrop and oil field data have confirmed that when sealing parameter SSF is less than 4–7, the clay smear becomes discontinuous and then oil and gas go through the caprock and migrate vertically. Quantities of fractures are formed in mudstone in the process of brittle deformation. The fracture density increases with the increase of the fault displacement. When the fractures are connected, oil and gas go through the caprock and migrate vertically. The connectivity of fault depends on the displacement and the thickness of caprock. On the basis of the above, a method is put forward to quantify the connectivity of fault with the juxtaposition thickness of caprock after faulting. The research on the juxtaposition thickness of caprock after faulting of the member II of Dongying Formation in Nanpu depression and the distribution of oil and gas indicates when the juxtaposition thickness of caprock is less than 96.2 m, the fault becomes leaking vertically. In the lifting stage, with the releasing and unloading of the stress, the caprock becomes brittle generally and then forms through going fault which will lead to a large quantity of oil and gas migrate vertically. This study was financially supported by the National Natural Science Foundation of China (Nos. U1562214, 41702156, 41272151), the National Science and Technology Major Project (No. 2016ZX05003-002). 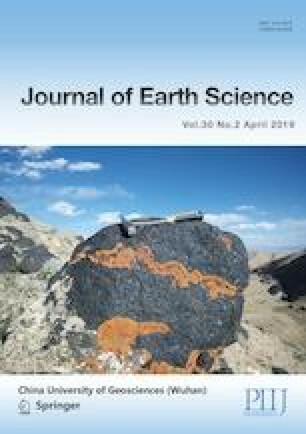 The authors gratefully acknowledge the Exploration and Development Research Institute of Daqing Oil Field Company Ltd. for providing the original data. This paper benefited considerably from the reviewers and editors. The final publication is available at Springer via https://doi.org/10.1007/s12583-018-0998-7.